The writer is a leader of the political organization Red Roja (Red Network), a communist organization active throughout the Spanish state. Translated from Spanish by WW Managing Editor John Catalinotto. To explain some references below: The “Pact of Transition” is the agreement of the late 1970s that allowed electoral parties to compete for votes, within limits, following the end of the dictatorship of Francisco Franco, but left big capital in control and many fascist politicians and officials within the state apparatus. All parties to the pact, including the Communist Party, accepted the reactionary monarchy. The two parties that have alternated in power in the Spanish state are the rightist Partido Popular (PP) and the Socialists (PSOE), the latter a formerly social democratic party that has given up nearly all its progressive features. In the recent local elections these parties, discredited by their corruption, cronyism and especially because both imposed austerity on the workers of all nationalities by the Spanish state, received only 52 percent of the total vote, an historic low. Podemos is a leftist anti-austerity electoral formation that received much of the protest vote; Ciudadanos is a rightist alternative to the PP, somewhat separated from the PP’s history of corruption but whose program is no more helpful to the working class. 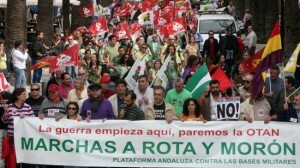 Workers in Spain face bankers’ austerity and threat of imperialist war. Above, a 2013 protest of the bases in Morón and Rota. While the news, and apparently people’s attention, is now focused on who will govern municipalities and autonomous regions [in the Spanish state], major decisions that affect our lives have been made and are being made without the vast majority knowing about them. Although in many places there are not going to be big changes — in most of the regions the option to form a government is limited to either the Peoples Party, supported by Ciudadanos, or the PSOE supported by Podemos — the foundation of a neatly tied-up transition has begun to crumble. To all appearances everything is under control. The fundamental tool of power to discipline governments at all levels — that is, the payment of a huge public debt and an imposed deficit reduction — has all the legal guarantees that should make it work. Article 135 of the Constitution, the Treaty on Stability in the Eurozone and the Organic Law 2/20121 obliges every municipality, every regional government, the federal government and Social Security to drastically reduce the deficit and debt2 and to renounce expansive social policies if they want to avoid an intervention. In 2014 the expenditure on “Public Debt” function accounted for 18.9 percent of the gross domestic product,3 i.e., around 200 billion euros and close to half of the federal budget. The situation of the federal government regarding the debt can be considered as the average of that regarding the different municipal and regional administrations. Despite this evidence, which reduced any electoral program to mere letters to Santa Claus — as Greece is illustrating so clearly — no political variant has gained representation in government, except for the CUP [Popular Unity Candidates who took local offices] in Catalonia, which clearly raised the need to oppose debt payments in order to meet the urgent needs of millions of people. Under these conditions, the big public and private powers, here and abroad, have in principle nothing to fear. The political parties that have up to now best represented the interests of these powers still rule in most of the territories, and the other parties that have emerged, although they at first questioned the payment of the debt and Spain’s membership in NATO, were quick to withdraw these programs that made those in power so uncomfortable. Nothing that challenges the power of capital is explicitly on the table — and yet they are afraid. What they fear is not any particular political force, but the people. They know them better than anyone that there is no foreseeable solution to the crisis and that they have no other program other than cutting wages, pensions and social rights. Their fears grow to the same extent that the number of people increases who have less and less to lose. 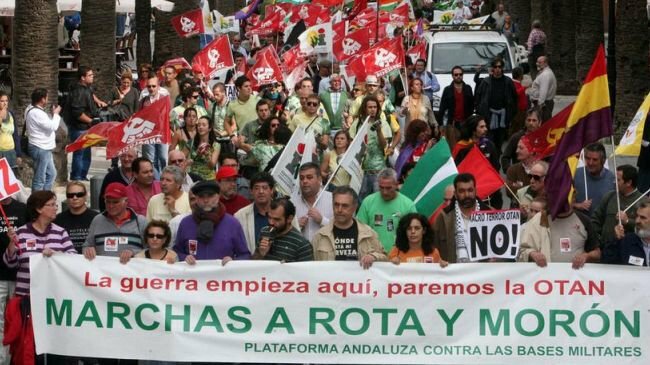 The problem for those who despite the crisis continue to fatten their profits, whether by destroying existing enterprises and continually concentrating capital, and/or by a brutal increase in the rate of exploitation of labor power, does not come from Podemos. The problem comes from the risk of instability, they say. It is this uneasiness that Jean Claude Juncker, current president of the European Commission, so clearly reflected when he said: “We all know what to do, we just don’t know how to get re-elected after we’ve done it.” This is a disturbing approach because if it is not likely they will change their policies, the question remains: What will they do when they don’t have the votes to get reelected? In other words it is what the great guru of the U.S. right-wing Samuel P. Huntington put into words: “The most important political distinction among countries concerns not their form of government but their degree of government.”4 By this he means their internal stability and alignment behind the United States. And in crisis situations as deep as the current one, when the possibilities of the system to cushion the class struggle through social concessions are practically zero, the dangers of fascism and war expand. [Spain’s King] Juan Carlos abdicated [on June 2, 2014] just eight days after European elections in which the parties that supported the Transition Pact — and which because of that support were also supporters of the monarchy — suffered a dramatic decline. It took only five days after the municipal and regional elections to announce the visit of Secretary of State John Kerry of the U.S. to sign the bilateral agreement that will make the base of Morón in Andalucia near Seville the permanent headquarters of U.S. AFRICOM (U.S. Command for Africa). Washington’s goal is to permanently install in Morón the Crisis Response Force of the U.S. Marines (SP MAGTF Crisis Response). The mere possibility of a political change that might bring some uncertainty to their interests made them react quickly, even now. To get an idea of the degree of allegiance of the Madrid government (the PP and the PSOE, the parties that initiated the process) and its complicity with imperialist policies, it is sufficient to note that, despite the huge pressure the U.S. placed on them, no African country accepted the role of hosting AFRICOM6 headquarters. The destruction of Libya by NATO bombing in support of the “rebels” — who have now been converted into perceived enemies — and the subsequent invasion of Libya led to the installation of the U.S. Command in the city of Benghazi. There it remained for less than a year until Sept. 11, 2012, when the U.S. Consulate in that city was stormed and destroyed, resulting in the death, among others, of the U.S. ambassador to Libya himself. The signing of the Convention opens the road to the permanent intervention of a foreign power that the [Franco] dictatorship began and in which the various governments since the transition have been involved. All of them, which pretend to be so patriotic, have encouraged the expansion of the U.S. military presence and have increased the involvement of the Spanish state in all types of military interventions and, in an exercise that is more than cynical, have given up asking if boats or aircraft crossing our territory hold or don’t hold nuclear weapons. The bipartisanship that is now teetering consists of two parties that have trampled on our sovereignty and have consistently failed to fulfill all the conditions included in the “yes” side of the vote in the NATO referendum of 1986. These are the parties that will now govern in coalition with the new political forces in most of the territory of the Spanish state. With the government’s latest decision, which will certainly have broad parliamentary support, in addition to submitting the people who live near where there are U.S. military installations — especially Morón — to a more than probable risk of a bombing, makes the whole population a preferred target of attack from any of the multiple U.S. war fronts. This is raised to a maximum when the drive toward war in Europe is itself growing stronger and increasingly closer, and when there is no doubt that the pressure of the crisis and from the U.S. military-industrial complex is bringing the risk of war on a major scale closer every day. 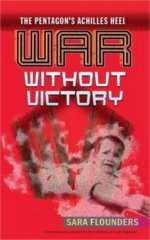 This is what the Forum Against Imperialist War and NATO7 says: “We are at war is no proclamation, it is a description of reality. This is a reality that we refuse to accept so that we avoid recognizing that we are complicit, or to acknowledge the risk that this would imply if we remained passive when confronted with the belligerent escalation by the Western coalition, of which we are part. Therefore, because the emerging parties will face the dose of pressure needed so that “something changes so that nothing changes,” the peoples cannot keep looking the other way when the fire spreads and comes ever closer. For dignity, for the absolutely necessary solidarity with other peoples and because we are in the line of fire: Is anybody out there? 1. For a detailed report on the TSCG and the Organic Law 2/2012, see http://redroja.net/index.php/noticias-red-roja/noticias-cercanas/1910-informe-de-red-roja-sobre-la-ley-organica-22012-el-final-de-cualquier-soberania-y-el-arma-de-destruccion-masiva-de-los-servicios-publicos. 2. The debt, now equal to 100 percent of GDP, is supposed to be 60 percent in 2020, and the structural deficit should be 0. 3. Date from the Stability Program submitted by Spain’s federal government in 2014 to the European Commission, page 59. 6. AFRICOM became operational in 2007 under President George W. Bush and had to settle in Stuttgart (Germany) after the refusal of all African governments to accept its installation. However, U.S. and Israeli troops are permanently installed in the former French colony of Djibouti. 8. Thomas Friedman, (New York Times columnist), New York Times, March 28, 1999. The following month the NATO Summit was held in Washington (coinciding with the NATO bombing of Belgrade), where it was decided, among other things, that NATO’s area of intervention covered anywhere in the world where members faces threats to their energy, security, members or from mass migration.